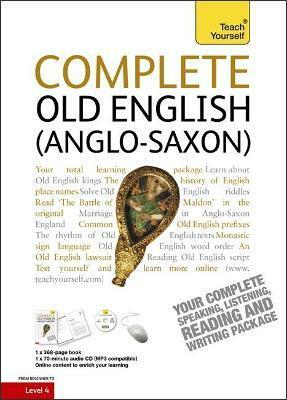 Learn Old English (Anglo-Saxon) with this best-selling course from Teach Yourself - the No. 1 brand in language learning. Equally suited to general reader, historian and student of literature, this new edition teaches vocabulary and grammar through original texts, with audio support, traces the roots of modern English words, and explores the Anglo-Saxon cultural context through poems, prose and historical documents. One-, five- and ten-minute introductions to key principles to get you started. Dr Mark Atherton is Lecturer in English Language and Literature at Regent's Park College, Oxford University. A trained teacher, he has taught in Germany and Austria and has published widely in medieval studies and linguistics.